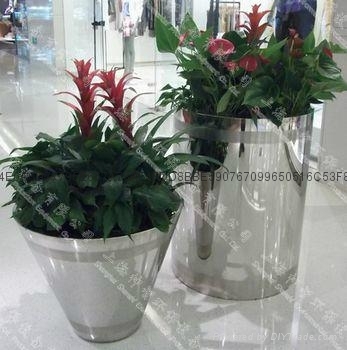 Shanghai Shenzhi Environmental Protection Equipment Co., Ltd. produced series stainless steel flowerpots. Their style is both novel unique and beautiful stylish. Between any combination of stainless steel pots can become a perfect decorative effect. Stainless steel flowerpot surface treatment effect has brushed, mirror, powder coated etc.The planter select high-grade material,so it’s durable and unbreakable.Stainless steel planter has many styles and types for customers to choose.